Our mission is to provide high quality training and behavior help to dogs and their people in the North East Pennsylvania area. 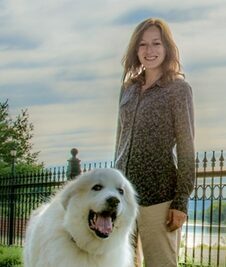 Beth Mattei-Miller has over 10 years experience working with dogs and other animals. Her interest in canine training and behavior was born out of the animal sheltering/ rescue environment. It is not a love of competitive dog events but keeping dogs safely in their homes that fueled her interest in this field. "Canine training and behavior consulting is about finding the right balance between the pet's needs and the people's needs. Having your dog sitting for a food bowl for 20 minutes until released is not functional in the household....but teaching baseline behaviors and the easiest way to manage and teach your dog what you want is VERY functional in the average household. This is my focus and it is a very different approach than what has been traditionally been available." 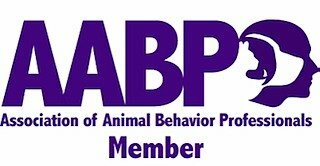 Beth is a CPDT-KA (Certified Professional Dog Trainer- Knowledge Assessed), a CBCC-KA (Certified Behavior Consultant Canine- Knowledge Assessed), a volunteer on CCPDT CBCC-KA Exam Committee, a professional member of the APDT, a C.L.A.S.S. 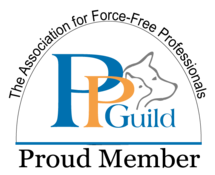 evaluator, member of the Pet Professionals Guild and an AKC CGC evaluator. She feels that continuing education makes her more valuable in the field and is committed to pursuing her education in canine training and behavior through workshops and seminar attendance. 1. To develop training plans that suit both you and your dog's needs. 2. To only use methods that enhance the relationship between you and your dog. 3. To never use collar corrections or other punitive means that may scare your dog or harm the human/animal bond. 4. To provide knowledgeable and sound advice and full disclosure giving the client the ability and understanding of why we do what we do. 5. To use sound scientific principals to guide our training and behavior modification plans. Please use our contact form to submit your questions and we will be happy answer!